This waterfront community is located on the shores of Lake Ontario in the town of Ontario, New York. Webster and Ontario shopping centers are just minutes away and downtown Rochester is a short, 20-25 minute drive. 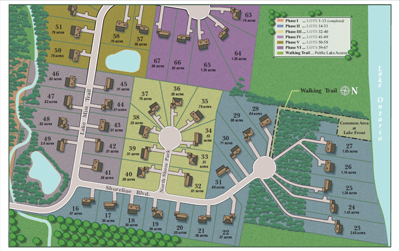 Private lots - choices include lakeview, wooded, walk-out, cul-de-sac, and waterfront walk-out! 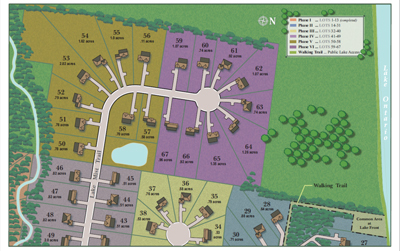 Lot sizes are 1/2 acre to 2+ acre. All homes in the development have the use of the walking trail and waterfront green space to enjoy magnificent lakeside sunsets and relaxing days at the shore. Homes are serviced by public sewers, public water, natural gas & cable. There are no surprises or upgrade charges after contract unless YOU change your mind! Many of our standards are considered upgrades elsewhere. Standard features include 2x6 construction, 12 course basements, 9 foot ceilings, concrete driveways, gas fireplace, hardwood and ceramic tile floors, central air and 95% efficiency furnace, 30 year architectural roof and much more! 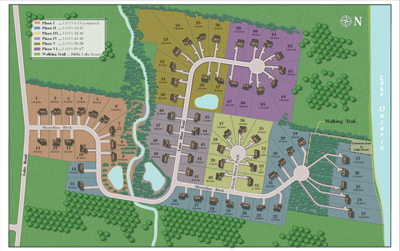 Lake access and Lakeview homes from mid $200's, Waterfront homes from $400's.